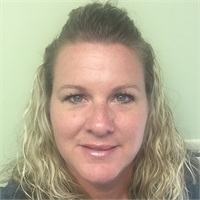 Julie Naudet joined Alliance Financial & Income Tax as a part time accounting clerk in 2011 and is now Full Time as the Office Manager. Her responsibilities encompass many aspects of our business, including AP/AR, billing, sales, and customer service. Her incredible organization skills keep our team running smoothly. Julie went to college at University of Texas in Arlington, TX and studied Nursing. Other past experience includes Travel Agent, Real Estate & Mortgage Broker, and Credit Repair specialist. After being a stay at home Mom of her 4 children, Julie joined Alliance because of her passion for people. She is the friendly voice that our customers have grown so accustomed to hearing when calling in to our office, and she takes great pleasure in making sure they are each taken care of. In her spare time (yeah right) she enjoys spending time with her husband, Kelly and 4 children Ryann, Reese, Reagan and Roman. She loves watching her kids play sports, serving at her church and tackling new Pinterest projects.